Journal of Clinical Medicine and Therapeutics is committed to upholding the highest standards of publication ethics and takes all possible measures against any publication malpractices. All authors submitting their works to Journal of Clinical Medicine and Therapeutics for publication as original articles attest that the submitted works represent their authors’ contributions and have not been copied or plagiarized in whole or in part from other works. The authors acknowledge that they have disclosed all and any actual or potential conflicts of interest with their work or partial benefits associated with it. 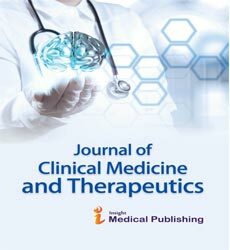 In the same manner, Journal of Clinical Medicine and Therapeutics is committed to objective and fair single-blind peer-review of the submitted for publication works and to prevent any actual or potential conflict of interests between the editorial and review personnel and the reviewed material. Any departures from the above-defined rules should be reported directly to the Editors-in-Chief, who is unequivocally committed to providing swift resolutions to any of such a type of problems. Further to the above, Journal of Clinical Medicine and Therapeutics a platform for the open public discussion of the journal contents. To secure accountability and to encourage sincere professional inputs without incivilities the system is set up to require registration and logging for recording of inputs. Some of the website contents will be available without logging but no peer review comments can be posted on the website without the disclosure of the reviewer identity to the journal editors. It is necessary to agree upon standards of expected ethical behavior for all parties involved in the act of publishing: the author, the journal editor, the peer reviewer and the publisher. Our ethic statements are based on COPE’s Best Practice Guidelines for Journal Editors. Acknowledgement of Sources Proper acknowledgment of the work of others must always be given. Authors should cite publications that have been influential in determining the nature of the reported work. Authorship of the Paper Authorship should be limited to those who have made a significant contribution to the conception, design, execution, or interpretation of the reported study. All those who have made significant contributions should be listed as co-authors. Where there are others who have participated in certain substantive aspects of the research project, they should be acknowledged or listed as contributors.